Welcome to Day 25 of 30 Days to a Food Revolution. 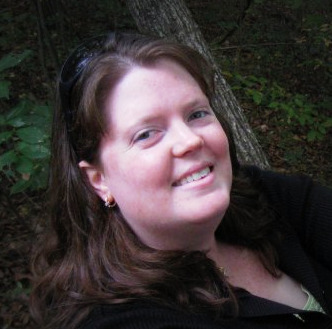 Today’s guest blogger is Carrie. Carrie is the author of the successful gluten free food & recipe blog: Gingerlemongirl.com. In late 2007 after years of debilitating migraine headaches & GI distress, Carrie decided to follow a gluten free diet to see if it would alleviate her symptoms. 6 months later nearly all of her symptoms were relieved. By 2009 Carrie also removed casein and soy from her diet. She realized the proteins from these 3 foods (gluten, soy, & casein) made her sick and kept her from living life to it’s fullest. Carrie is now a dedicated advocate of eating whole, natural & organic foods, living sustainably, and living a life that’s full of healthy balance. She blogs regularly sharing original gluten free recipes with an emphasis on eating natural, whole, mostly vegetarian foods. Carrie is also a freelance gluten free food writer with articles and gluten free recipes that have recently appeared in Taste of Home’s Healthy Cooking, Delight Gluten Free, TheExaminer.com, and $5DollarDinners.com. Carrie’s Tip: Eat foods that are fresh, natural, (and organic if possible), no matter what your dietary limitations are. I grew up in a very busy family. My mom and dad worked full time and worked hard to feed us healthy meals despite their own work loads. My mom made sure we ate lots of green vegetables, foods that were not fried, wholesome grains, and lots of meat & chicken. I was fortunate to have parents who worked so hard to feed us well. We did take shortcuts though, as most families do. Because well… it’s so darn easy. Canned vegetables. Packaged meals. Frozen dinners (or at least frozen main dishes: Hello Schwan’s Truck – we were on the monthly delivery route!) Sometimes it seemed like we just couldn’t avoid the convenience of fast packaged & frozen foods. Once I graduated from college and started cooking for myself, I followed the same patterns. Canned foods. Packaged meals, pre-portioned applesauce cups, frozen dinners, etc… Easy, cheap, and not necessarily healthy. Actually not very healthy at all. Then after getting married and eventually gaining weight, I realized that something needed to change. That “something” was our diet. We took baby steps in this process. We’d cut back on frozen meals or not eat out as often. We’d try new recipes at home using more fresh vegetables. Then we would get lazy and slip back into our old routines of a frozen pizza or two after a late night at work. When I finally realized that gluten was the culprit behind the awful migraines I had experienced for years, our diet really had to seriously change. All of the sudden, everything that I knew how to cook seemed to contain wheat. I had always enjoyed baking from scratch and I had even just learned how to make real yeast bread. And all of that had to change. Immediately. Out went every item in our home that contained gluten. Nothing with wheat/oats/rye/or barley remained & we were going to start from scratch. So we learned to cook again. We learned to eat again. We were forced to eat fresh foods that we had to prepare from scratch. We made simple easy meals like baked potatoes. It amazed me that we could eat real foods and they tasted great. And it really wasn’t that hard to prepare them. Gradually as our diets changed & evolved so did our health. We were becoming more healthy people. We didn’t lose a lot of weight, and we didn’t immediately become active people, but we just felt better about what we were eating. We’ve always been a very ecological couple. My husband and I recycle everything we can, use as few chemicals as possible, clean with baking soda & vinegar, and live simply. And as we began to eat more healthy & whole foods, these eco-conscious values crept into our diet. Suddenly we wondered who was making our food? Where was it coming from? How was it grown? Were the plants & animals raised with chemicals? Were animals on the farms ethically treated? Were farm workers paid fair wages and respected? All of these questions helped to change not only how we ate, but what foods we were eating and where they were coming from. 1. Buy local if possible. Find farms, CSA’s, and farmer’s markets in your area to buy fresh (often organic) produce. Get to know the people who grow or raise the majority of your food. 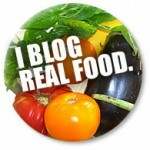 You will be supporting your local economy and eating whole, clean, naturally healthy foods. Visit Localharvest.org to find a local farm or CSA near you. 2. Buy locally and ethically raised & grass-fed meat & poultry. We have learned to eat meat & chicken occasionally. It’s now considered a treat to have it as part of our meal. Locally raised meats are often much more expensive than store bought varieties. But you know what you are getting. You will appreciate it more. You will know where your food is coming from and you will be putting money back into your local economy! Localharvest.org can also help you find local ranchers and beef & chicken farmers in your area. 3. Eat Seasonally. The biggest way we have changed our diet is to eat seasonally. During spring, summer, and early fall we eat fresh foods that come from our CSA box and local farmer’s markets. Many higher-end grocery stores will also sell local produce. Fresh salads, lots of smoothies, as many vegetables we can find in these warm months. During cooler months, we head towards more apples, root vegetables, cabbages, soups, stews, and a little more meat etc… This method is one of the easiest ways to eat simple, healthy, whole foods. For some fresh and healthy meal ideas, please check out a few of my vegan and vegetarian recipes, my favorite apple mint salad, and my green smoothie & salad recipes. This marinara sauce is so incredibly easy to make. You basically put everything in a blender. Cook it for about 15 minutes on the stove (plenty of time to make pasta and a green salad) and Voila: Dinner is served! Free of Gluten, Soy, Corn, & Casein. In a large bowl mix ground beef with pulverized gluten free oats and ground flax seeds. Mix in egg and the remaining seasonings. Rolls ground beef into small meat balls about 1″ in diameter. We usually get about 18-20 meatballs out of this recipe. Heat olive oil in a large heavy bottomed (or non-stick) skillet. Add meatballs to hot skillet. Cook meatballs for several minutes on each side to let them brown evenly and cook through. 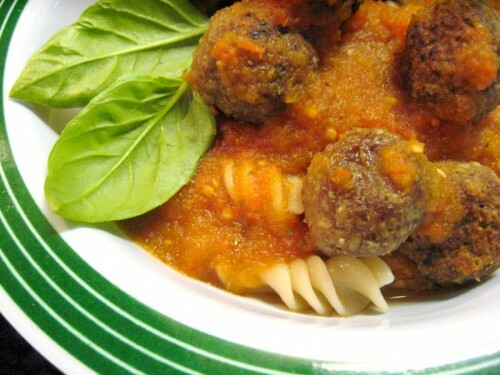 Serve meatballs over gluten free pasta, rice, or potatoes and cover them with freshly made marinara sauce! Enjoy! – These meatballs & the marinara sauce freeze beautifully. If you have time to make several batches of each recipe, you’d have a really quick, easy, & healthy meal stored away in your freezer. – If you use ground sirloin for the meatballs (as we do) they will be extremely lean and may stick to the pan unless you add additional oil or use a non-stick or very well seasoned cast-iron skillet. Read more today on Ginger Lemon Girl. Great tips! I love blender marinara, especially at the peak of tomato season. I'm with you on the idea of making big batches and freezing portions to pull out of the freezer at a later date. It really isn't that hard to eat healthy if you plan ahead. Great post Carrie! I think it's funny that you mentioned the Schwan truck. He used to come to our house too! My mom wanted to stop getting his food, but she knew he worked on commission and didn't want to disappoint him, so she was afraid to tell him she didn't want the food anymore! This recipe looks good. I need tobe making more things ahead of time and freezing…then I would have no excuse of not having things on hand that are healthy to eat. Thanks for this great tip Carrie. I have never thought of putting everything in the blender. What a great idea. I will definitely be trying this, but with my food processor since we don't have a blender. Great tips. If I make marinara, I tend to use my hand blender (hubby is anti-chunks when it comes to tomato sauce). Love how fresh this sounds – and I like that you threw flax seed meal in your meatballs – I do too! Making sauce in the blender isn't something I've tried, but when the tomatoes in our garden are ripe and we have fresh herbs, I'll definitely try this. My husband's favorite food is marinara, I'll give this a try. Great advice and wonderful recipes, Carrie! As long as there's pasta, Mr. GFE doesn't worry about the sauce too much. 😉 This blender sauce sounds and looks perfect though–thank you! And, the meatballs, too. I never liked meatballs until I started making my own. We never ate spaghetti with meat sauce again. It was spaghetti and meatballs after that … such a yummy meal! Thanks again, Carrie, for sharing your journey, your recipes, and inspiring us all! I'm excited to try this, marinara sauce is on my list of things to make from scratch and I didn't even think of throwing it my Vitamix! thanks, can't wait! Carrie – one of the important points in your post is the idea of taking it slowly. Changes don't happen overnight, but slow and steady wins the race. 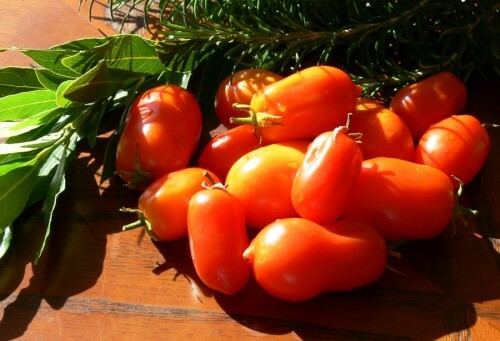 I love your blender marinara recipe – what a time saver! Thanks for a wonderful post! Thanks for the tips! I like the marinara sauce recipe…we'll have to try that sometime. Hello everyone! I'm not sure what happened to my first comment I left a few days ago… but thank you So much for commenting! Melissa – Thank you so much for your kind comment! I love anything quick and easy!! You're right, it really isn't hard to eat healthy, it just takes a tiny bit of planning! Iris – That is so funny about the Schwan truck!! Your mom was being sweet! Maggie – I would love a real Vitamix and a food processor!! lol!! Let me know how it works with the food processor! I'm sure it will be delicious!! Alta – I love your name BTW! 🙂 I throw ground flax seeds into everything! They are so healthy and delicious! Jenna , Mama, Christy, & Kelly – I hope you will all give this recipe a try sometime! Thanks so much for commenting!! Shirley – Thank you so much for the comment and the info on ground venison! I'll have to look into that around here! 🙂 My husband is like yours… he's a happy man if there is pasta around! Breanna – I'm super jealous of your awesome Vitamix! You could probably even "cook" it in the vitamix!! Ellen – It's definitely slow and steady!! You are so right!! Instant changes don't always amount to a lot of success!! 🙂 thank you so much for reading and commenting!